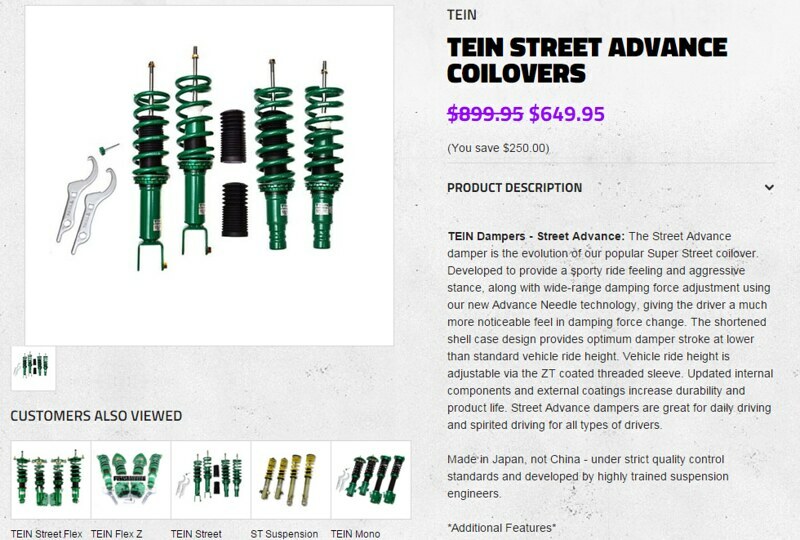 SALE on TEIN Street Advance Coilovers 90-05 NA/NB - Miata Turbo Forum - Boost cars, acquire cats. Big sale on TEIN Street Advance Coilovers for the 90-05 MX-5. ON TOP OF this KILLER pricing your entire order will ship for ONLY $9! We have 12 units in stock at the time this post was produced. Street Advance Coilover Kit - $658.95 SHIPPED!! Veterans Day 2015 SALE at Fab9Tuning! Nov 9th to 11th Save on EVERYTHING!